Samaritan was founded in 1980 as South Jersey’s first hospice. Almost 40 years later, Samaritan is the largest hospice organization serving Camden County and the South Jersey area. Our Camden County, NJ programs include hospice care, palliative care, education, and grief support. Samaritan Hospice is also a proud member of the Camden County Regional Chamber of Commerce and the Voorhees Business Association. 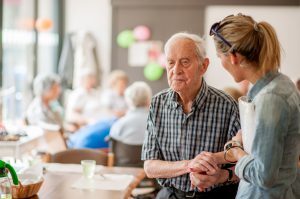 Samaritan serves hospice patients and their families in a 2,200 square mile area including Gloucester, Atlantic, Camden, Burlington, and Mercer counties. Families deserve quality hospice and palliative care wherever they live in Camden County NJ. 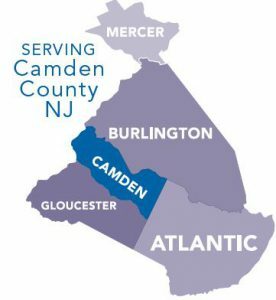 That includes Voorhees, Berlin, Atco, Winslow, Clementon, and Lindenwold, as well as Barrington, Haddonfield, Cherry Hill, Haddon Heights, and Oaklyn, to Pennsauken, Merchantville, Collingswood, and Camden NJ. If you’re interested in learning more about hospice and palliative care in Camden County NJ, please contact us at (800) 229-8183 or please fill out this online form.